It’s my birthday this month so I am giving out the gifts, for everyone who joins or renews their membership before the 24th June I will give you a week for every month you join. Join for 3 months and I will give you an additional 3 weeks, join for 6 months and I will give you 6 weeks….. If you join or renew online flick me an email and I will update your membership. What an unbelievable end to May, Ben got to keep his belt in an amazing show of power, strength and skill. Ben did his talking in the ring, all the trash talk in the lead up was well and truly silenced by the much better boxer. 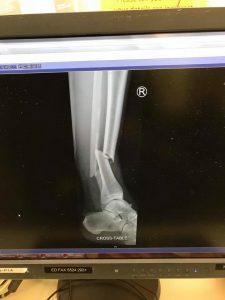 At Boxing Works we do nothing by half, as evidence shows with Billy’s spectacular break to his tibia and fibula. Billy was more prepared than ever for his fight which makes the outcome so disappointing for him. It is going to be a hard road to recovery but knowing Billy, his focus and determination will have him working to get to peak performance in record time. BJJ Grading! At the end of this month there will be a BJJ grading. 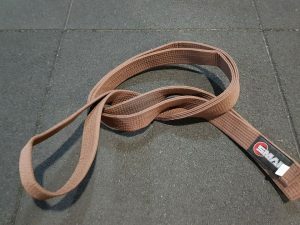 Coach Carlos has some tips, for those who understand BJJ speak you will know what the below means, all I know is there may be some beer and pizza at the end…. 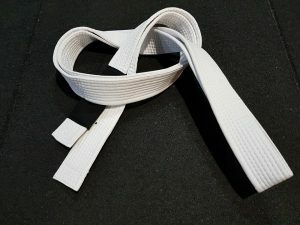 White Belt – How good are your basics? Do you know how some basic attacks/escapes from Mount, guard, side control and back control? Do you know 1 or 2 takedowns? Can you describe a brief history of Jiu-Jitsu in Brazil? 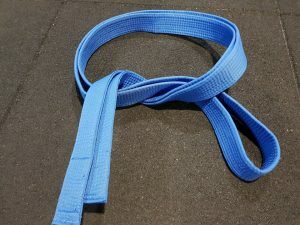 Blue Belt – What are your bread and butter or go to moves? (Favorite submission, sweep, pass, etc.) How consistent are you in applying them? Can you transition between the major positions and hit your moves in combination? 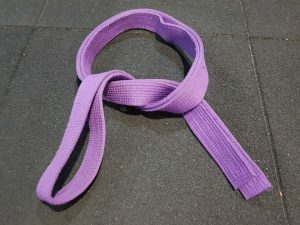 Purple Belt – What is your signature game like? (Top game, bottom game, half guard, full guard, etc.) Regardless of signature game, what is your top pressure like? Can you reliably hold dominant position when you get it? How well can you chain your attacks together? How are those takedowns coming along? JODEE POLLARD , Jodee coaches out of all three gyms juggling a new career, training herself, coaching clients as well as making sure our hair is cut and styled to perfection, still making time for hubby and dog at home. Not sure how she fits it all in so I thought I’d ask her how she got to Boxing Works. Jodee 27 years ago. Started boxing first, then went to Muay Thai, then Wing Chung Kung fu, back to Muay Thai. Ally When did you first come to Boxing Works? Jodee 7 years ago. As a member I fought out of Boxing Works, Ally and Larry paid for me to get my cert III and IV in coaching so I could take classes. Can’t thank them enough!! Ally How long have you been coaching at Boxing Works? Ally What do you enjoy the most about coaching? Jodee Seeing beginners coming in week after week putting in the hard work. Doing what you tell them. Time passes and they have become really good. I love that! Ally Are you still training and competing yourself? Jodee Not fighting anymore, still training! Ally What are some achievements you are most proud of? Jodee Never thought I’d fight. Just started because my Friend got mugged and I realised I didn’t even know how to throw a punch. Started fighting at 35, last fight was 42. I’m proud of that. 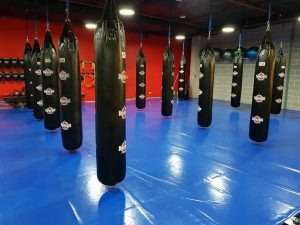 Ally What makes Boxing Works different from other gyms? Jodee Everybody is on their own journey. Boxing Works encourages all journeys. You don’t need to to fight it could just be you want to be able to do push ups. It’s a very comfortable friendly gym. Ally What would you say to someone interested in joining Boxing Works? 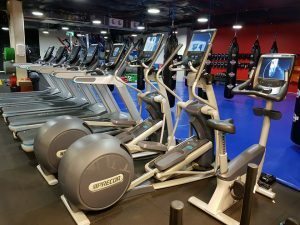 Ally Many people often approach us about personal training, can you make them an intro offer if they are keen to give it a go? Jodee As an Intro offer for members, if they purchase 2 x 45min sessions for $80 I will give them an additional session free. So 3 45min PT sessions for $80! Must book in by June 30. We will be opening Boxing Works Tramsheds on Sunday mornings for a 6 week trial period. Starting from Sunday 17th June from 8am we will open for 3 hours, that will give me an extra couple of hours to check out the Growers Markets, remember 2 hours free parking more than enough time for a workout and a coffee, or lunch, or shopping…..